Motorola is one of the most reliable brands in the smartphone market with the longest history behind, but lately, it seems to have entered a shadowy cone. Since the purchase by Lenovo, the brand has gone through several phases, eventually reaching the name of Motorola. In the past years, the phones were sold under the aegis of Lenovo Moto. The FCC must certify all smartphones before they can be marketed in the United States. The next Motorola Moto Z3 Play is no exception and its certification brings us some information about the device. Motorola has organized an event in Brazil for June 6th. Considering the many rumors circulating for several weeks, the protagonist should be the Moto Z3 Play, a medium-high-end Android smartphone and successor of the current Moto Z2 Play. The date of the event is written on the smartphone screen shown in the invitation. 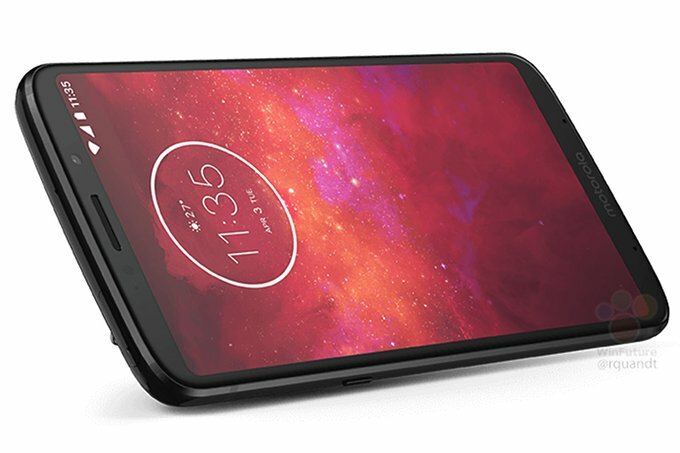 The profile looks like that of the Moto Z3 Play, as can be deduced from the two lines for the antennas in the upper part of the side edges that correspond to those visible in the press render published online at the end of April. The invitation is addressed to the Brazilian press, but Motorola could organize events in other countries. 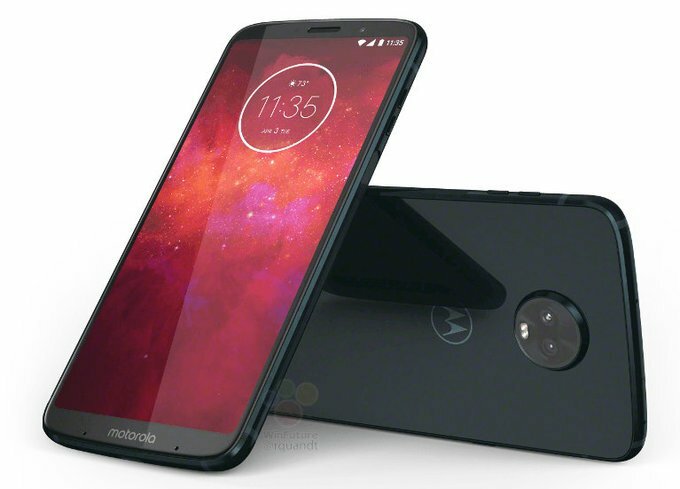 The number of the Z series will come, which also includes the two models, one of which is the Moto Z3 Play. 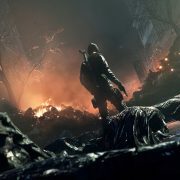 For some time rumors have circulated about the new smartphones that work (Lenovo actually, since the brand is from Lenovo). The constant of them, however, concerns the Moto G6, while on the Z series little information has been leaked. The images of the protective cases discover the possible design of the Moto Z3 Play and four new features. The audio of 3.5 mm Jack Audio, already played in the Moto Z2 Force, but present in the Moto Z2 Play, will be also available for this new generation. At the bottom of the cover, you only notice the space for the USB Type-C port, while along the top edge there is the hole for the microphone. The fingerprints are now on the side with the volume keys. The movement of the sensor was necessary to increase the screen-body ratio of the smartphone. The new top of the range should have a 6-inch AMOLED screen with full HD + resolution (2160 × 1080 pixels) and aspect ratio 18: 9. The Moto Z3 Play will retain its modular nature, as can be deduced from the 16 magnetic pins present on the back. 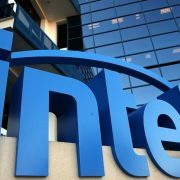 The hardware equipment should include an octa-core Snapdragon 630 or 636 processor, flanked by 4 or 6 GB of RAM and 32/64/128 GB of flash memory. The operating system will undoubtedly be Android Oreo. Moto Z3 Play, the next mid-range smartphone, is still at the design stage. But we could find out some minimal features that the Z3 Play will provide. 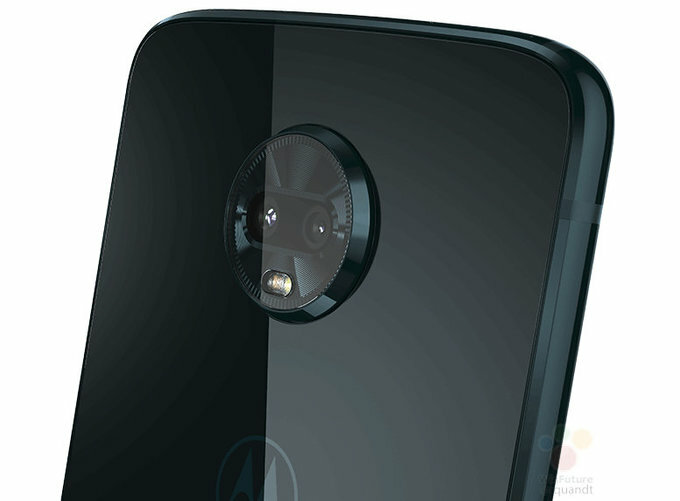 The images done by CAD sketches and given by the company show that the Moto Z3 Play has a design unchanged at the rear, with a dual camera fitted with a circular ornament and distinctive features of the Motorola logo. According to the sketches provided, the Moto Z3 Play should be 156.4 x 76.47 x 6.65mm, being 0.7 mm thinner than the model released last year. The new Motorola smartphone will be entirely made of aluminum and will be one of the thinnest top-of-the-range phones on the market. Besides this device, other MotoMods accessories will be launched, but no details are known about them. It is compatible with Moto Mods accessories. Z3 Play also includes rear accessories. The headphone connector’s functionality will be replaced with a 3.5mm USB-C adapter that is put in the package of the accessories. 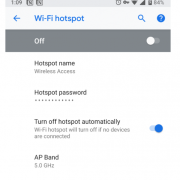 The configuration used is Snapdragon 636 chipset, helped with up to 6GB of RAM. The list of features is packed with up to 64GB of storage space. Besides these specifications, on the back of the chassis, we can see a dual camera, which is made up of two photosensors, one 8 MP and another 12 MP. The battery is 3000 mAh, which does not even sound impressive for the predecessors in this chapter. Perhaps the new processor is still optimizing. In the Moto Z range that matches the best Motorola smartphones, the Play model is generally the least equipped, but the most accessible. Launched at 450 euros, the Moto Z2 Play can now be found at 375 euros, making it a midrange device. Regarding the price, a sum between 500 and 550 is expected for Moto Z3 Play. It is also a kind of “Lite” version of the Moto Z3, which relies heavily on the battery.